I have just e-mailed Sports Planet about the fencing and the goalposts. I also spoke to them today, when I was at East Coast this morning. They will get back to me. I trust the issue with the lights have been resolved. a. The wire fencing around the big pitch has come undone at certain places. I pointed it out to one of your staff before the end of last year, but nothing has been done about it. Not only does it allow the ball out onto the East Coast Parkway service road, where the sharp end of the wire is sticking out, players can get caught by sharp end and be hurt by it. It has happened once before. b. The goalposts are leaning forward, can be rocked, and risk falling over. It could cause serious injury to a player. Please look into the above matters. Apart from the risk of causing an accident on the service road, there is a risk of serious injury to a player. Thanks for your valuable feedback and your continuous support at East Coast Sports Planet. The lights have been settled and I have personally fixed the openings at the fence. Goal post I have also enforced it. As for the wire sticking out issue, do give me some time to make some repairs to it. Hope to have your understands and once again, thank you for your feedback. I hope the repairs are adequate. As set out two posts above, apart from the Wednesday night games that were switched to Kallang on 28 December 2011 and 4 January 2011 (5-a-side) or cancelled (on 21 December 2011), for one reason or another (mainly a late withdrawal or no show, with me sitting out), since 19 October 2011, several of the Wednesday night games at Khalsa ended up being 6-a-side - 19 October 2011, 2 November 2011, 23 November 2011, 30 November 2011, 14 December 2011, 11 January 2011, 18 January 2011. Although we had some one-sided score-lines in the last week of January 2012, we had some good come backs in earlier in January 2012. Good game overall. A bit disjointed at times, but the newer players are still getting used to playing together. Both games at East Coast last week were cancelled due to insufficient players - Tuesday, 28 February 2012 and Thursday, 1 March 2012. The Tuesday game initially had reserves, but with withdrawals, we were down to 8 by Tuesday evening. ..., it's a combination of injuries and players working late that has affected numbers. The Thursday game was stuck at 9. Yup, a very long time. A mixture of injuries and working late. We started playing Tuesdays and Thursdays on the big pitch at East Coast in August/September 2010. By April 2011, we were struggling to fill the Thursday game at East Coast, so it was switched to Khalsa from May 2011 onwards. With a fair bit of canvassing and recruiting, an extra game Thursday night game at East Coast was re-introduced in August 2011. We struggled to fill the game at East Coast this Tuesday (6 March 2012), but we finally made it. However, we didn't make it last night (8 March 2012) at East Coast, with numbers stuck at 10. Next Thursday, as the Khalsa booking will be used for the second leg of the team match between Weeknight East Coast Regulars and David T and friends, I will schedule the regular Thursday night game at East Coast. When I talk about filling a game, I'm looking at the time the proposed line ups are scheduled to go up (between 3 and 5 pm on the day of the game). For the Tuesday game in particular, there has been a tendency to fill up by the weekend, sometimes with a number of reserves, and then to have several withdrawals on the Monday and Tuesday, leaving us short by the time the proposed line ups are due. Guys want to try a night off the nets versus playing to the sideline? I'd be in favor of trying one game like this. I agree with You but this is true in a big pitch or if we play six vs six. * Playing to the line or nets when we have 7-a-side. * The type of ball we use. The main differences are that the Khalsa pitch is uncovered, so it's wet when it rains, and the type of ball we use. Several of those who voted in the earlier polls don't play with us at Khalsa anymore, while we also have several newer regulars for our Khalsa game. I'll give time for further discussion before I do another poll. The discussion can be on this thread. Fence scrums can be eliminated if we played to the line easy! I honestly hate the "pass via the fence" plays - mostly because I can't read the angles hahah! Yupe, once we played that when doing 6 on 6, you should see how confused some regulars were. Playing to the side lines at East Coast is open to further discussion. The 6-a-side game is referred to in the post above. The reason we play off the side fencing/padding at East Coast is that the Sports Planet pitch is a lot narrower than the other pitches on which we play 7 or 8-a-side. Playing off the side wall/netting/fencing/padding creates extra width. Playing to the side lines would be ok for a 6-a-side game, but might be too congested for the regular 7-a-side games. One possible solution is that when there is a challenge for the ball against the side fencing/padding, and the ball or the player in possession is stuck against the fencing/padding, the challenger has to back off, and the player in possession must immediately play the ball backwards. If the challenger doesn't back off, it is a free kick to the player in possession. If the challenger backs off, but the player in possession retains possession, or plays it forward to a team mate, it is a free kick to the challenger. However, it would require a lot of discipline to implement such a rule. I'm not sure our games have the requisite level of discipline yet. There was an issue dating back to January 2009. More recently, there has been discussion of what adaptation may be necessary. I had a chat with Justin and Rai after the game and a common observation is that when the ball goes to either side of the field off the boundaries and 2 players go for it and subsequently, more players from either side goes in, it tends to get a bit over zealous or aggressive and the chances of someone coming off with an injury regardless whether it was accidental or not is very high. A suggestion was made by say restrict at most 1 player from each side goes in for the ball and if the ball gets stuck, restart by untangling the ball and give it back to the side that had the last possession and carry on. 2) Increase ball time as less time is wasted in trying to 'challenge' for the ball when there are like 3 or 4 players bunched up at the side trying to win possession. What do you guys think? Not sure if we can try this out at the next game at ECP? I think thats a good suggestion. Let's try it out from tonight onwards... This will be the duty of the Captains to remind his team-mate's. One thing I noted was that no one informed the new players about the rule on resetting play to the side which had possession last when the ball got stuck at either sidelines, thus we saw some robust / overzealous challenges last night that potentially could cause injuries. Can we be a bit more conscientious to for everyone to ensure that new players are told of this rule. i was at that particular scene you are referring to and I must say, Alwyn actually got to the ball before the opponent and I was personally quite puzzled why he was asked to give up possession of it when an opponent came along. I think yea, as much as we do not go in and make robust or career/life threatening tackles at ANY corner of the pitch, this should not take basic defensive concepts out of our game (i.e. taking two steps back from the opponent whenever he's at the sidelines and expecting the ball to be played back to the keeper for a restart). To me, it makes no legit sense. We might as well just play according to the rule of 'no using of side wall' at all times (i.e. ball is deemed out of play and possession should oppositions whenever it crosses the line). What I am saying here is, the defender still has a right and SHOULD keep close to attacking player with ball, not allowing him to turn or flick the ball past him, etc. but like with every other moment of the game, to exercise extreme caution against 'crazy' tackles, especially since the attacker is in a 'vulnerable' position. I think we have gone a bit overboard with the whole ball gone into the padding, swinging from one extreme to the other. Ben and others seemed to be advocating as soon as the ball got stuck - which is usually due to a challenge or attempting to get though down the line then the ball should go to the one last in possession - and then usually passed back to the keeper or last man in defence. My opinion is this slows the game down and breaks it up too much. If the ball is stuck due to a successful challenge the defence shouldn't be penalised as the offence had possession last, the defence at least deserves an equal opportunity of winning possession. Playing the ball back to the last man, seems to cause a discontinuity and a funny lull in the game with a drop of concentration. We should allow 1 on 1 tussle at the fence for a limited duration say 5 seconds - any longer can become a bit of a kick fest - unless one player went in with and still has a clear advantage, this allows the both players an equal opportunity of winning the ball and playing to their advantage. After the 5 seconds, maybe a drop ball or the team who last had possession starts with a kick in, this would disrupt the flow of the game less and keep everyone alert and would be a better option than playing back to keeper/last man. I've e-mailed Sport Planet again Kelvin, and copied you. I've just been informed by Sports Planet that the big pitch is currently not available. Same old problems seem to recur with Sports Planet. After a while, Nessia assured me it was not necessary to keep two payment cycles going, they would book ahead for me. After Sports Planet got sticky over late cancellations in March 2012, and further cancellations in April and May, I stopped keeping two payment cycles going to reduce my exposure, and based on Nessia's assurance. Seems the assurance is only to try to book ahead when they can. So someone else has gotten in before us for this Thursday. It's too ridiculous to even get angry over anymore. A reminder for those driving from the East - exit the PIE at the Kallang/Bendemeer exit, proceed to Bendemeer Road towards Boon Keng Road, turned right into Boon Keng Road, across the junction with Serangoon Road, and up to McNair Road. 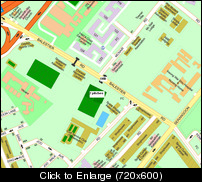 Turn left onto McNair Road, and park at Blk 123 (before McNair Road joins Balestier Road). Cross the overhead bridge marked OHB. There are stairs to the right of the overhead bridge (facing the two pitches). We usually play on the pitch to the right (closer to the stairs). For public transport, see "Public Transport To Khalsa" on the old blog. ... with Sports Planet Management prior to the game to turn on the floodlights at the far end & report came back promptly that they are 'spoilt', just like the canvas covers on the sides, the holes behind the goals etc. Thanks to Sports Planet for putting up an romantic atmosphere at the Whites goal end by dimming the lights. We particularly like the untied canvas as it allows a nice sea breeze to pass into the pitch; the players can also stop & look at schoolgirls walk pass while defending corners. Lastly the holes behind the goals is surely a good way to encourage good neighborliness so we can talk to the guys walking by & get them to return our ball. Think the Marine Parade Residents Committee can get some tips from Sports Planet on how to promote the kampung spirit. Either the staff on duty were not briefed, or a new problem has arisen. I've e-mailed Sports Planet again, and copied Chen Hong. I just have to add that playing in the "romatic" dim lights is dangerous and reduces the enjoyment experience. With 5 withdrawals on Thursday afternoon, and two games scheduled for that night, the East Coast game was switched from a big pitch to a 5-a-side on a small pitch. As a matter of availability of a pitch, it will continue to be rare. The last time we ended up with a 5-a-side at East Coast, it arose out of a mix up over the booking. On that occasion, we actually had 14 players, so we ended up having to play with rolling substitutions. On other occasions that we have been stuck at 10 at East Coast on the day of the game, we've either managed some how or other to get to 12 or 14 players, or cancelled the game. Double booked again. I rushed down and got there by 9.30 pm. The lot who got 8 to 10 pm agreed to leave after a final goal. By then, Srini had left. I was informed that there was no one after us, and we could play until 10.30 pm, but at about 10.10 pm, the next booking chased us off. I had left by then, but checked with the office, and was informed that there was in fact a booking at 10 pm. I'll reduce the payment to $4 per player for the 12 who played. Problems seem to arise every few months. My booking form showed we had the big pitch for tonight. However, it appears it was not entered into their book. The staff on duty tonight will of course blame Nessia, who handles my bookings.